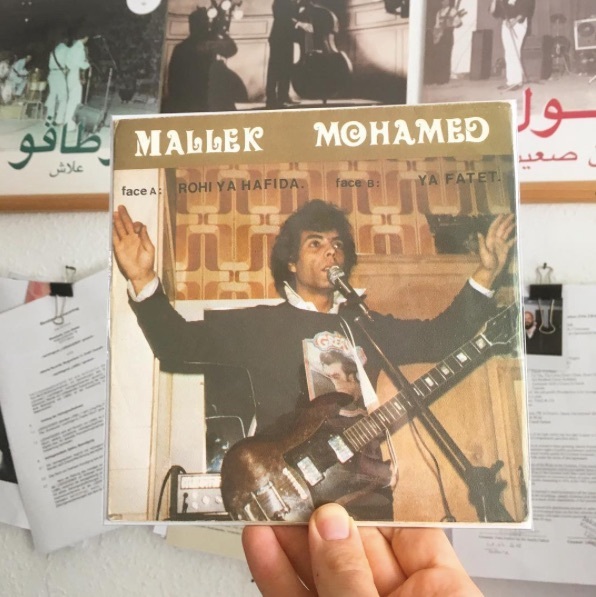 One of a handful of labels focussed on reissuing music from across the Arab Peninsula, Jannis Stürtz shares his stories from years of searching for the region’s funkiest records. “I don’t have a blueprint, really,” says Jannis Stürtz when asked how he discovers records to release on Habibi Funk, his reissue label for ’60s – ’80s funk and soul music from the Arab world. 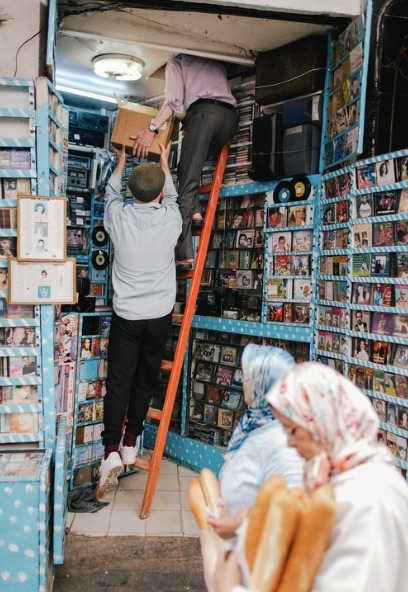 Alonsgide running his other label, Jakarta Records (with releases from artists like Mura Masa and Kaytranada), and DJing around the world, Stürtz still finds the time to dig for records in “most [Arab] countries that you can currently go to” outside of the Arabic Peninsula. Stürtz is well aware that the technological difficulties he encountered in Beirut can end up prolonging reissue projects. In fact, delays are a common thread in his work with Habibi Funk – whether caused by technological difficulties or for ethical reasons: “If you’re a European or Western label and you’re dealing with non-European artists’ music, there’s obviously a special responsibility to make sure you don’t reproduce historic economic patterns of exploitation, which is the number one thing when it comes to the post-colonial aspect of what we are doing,” he explains. 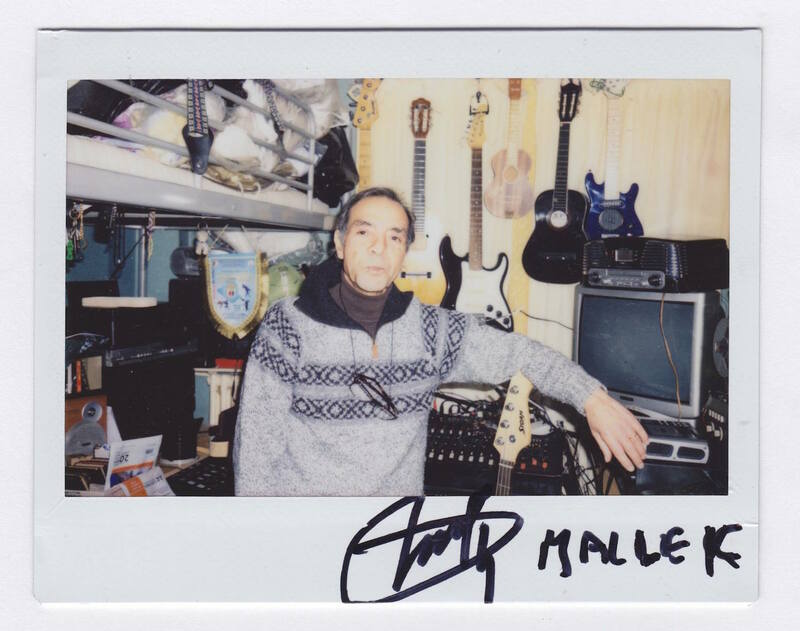 “Once or twice a month I’m lucky enough to take a trip to the region for DJ gigs, and I always try to find out what I can do on top of that. 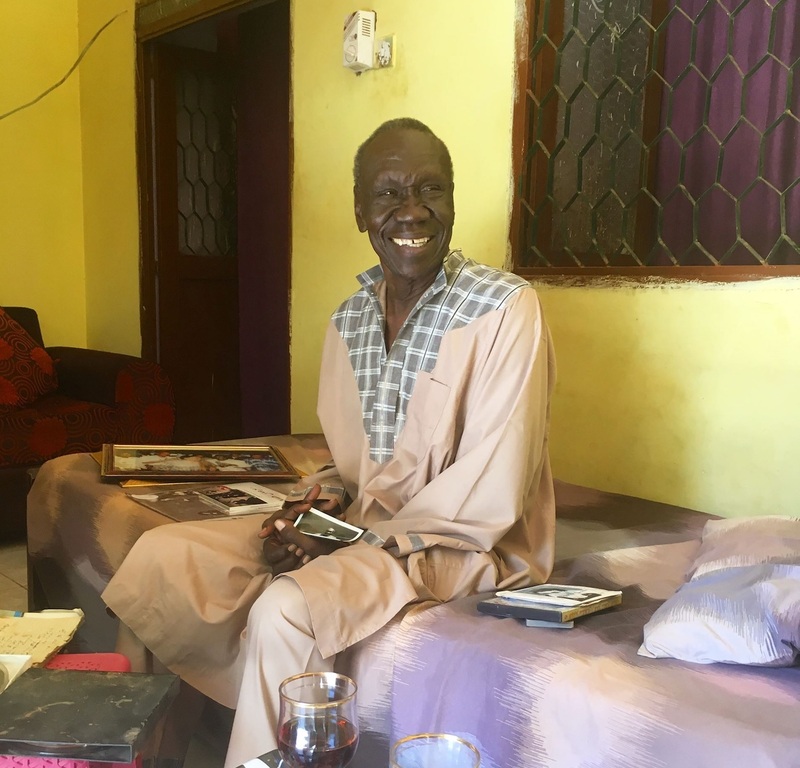 For [a recent trip to] Sudan, for example, it was just about trying to get into the Sudanese scene to learn about its musical history,” says Stürtz, who secured the help of a team of music-savvy locals. In Somalia, on the other hand, Stürtz ran into a radically different problem, where many radio archives were destroyed by political and religious extremist group al-Shabaab. According to Stürtz though, one of the radio archives did survive. “This certainly doesn’t mean that buying vinyl is as common there as it is around here. 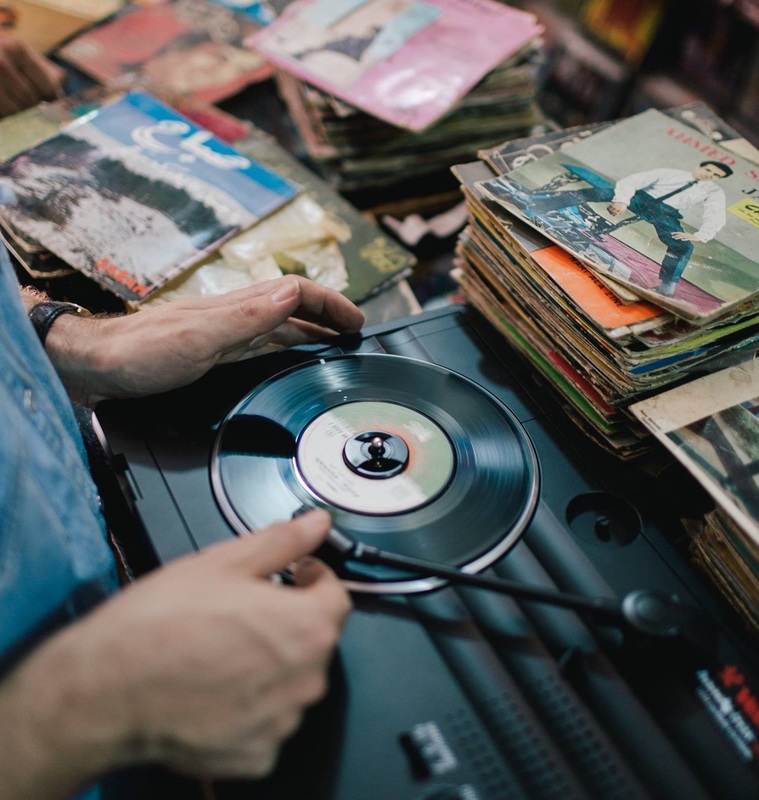 To start with, finding a working record player is already a challenge.” But it’s a rising scene and through mixes and rereleases, Stürtz sees a growing audience. 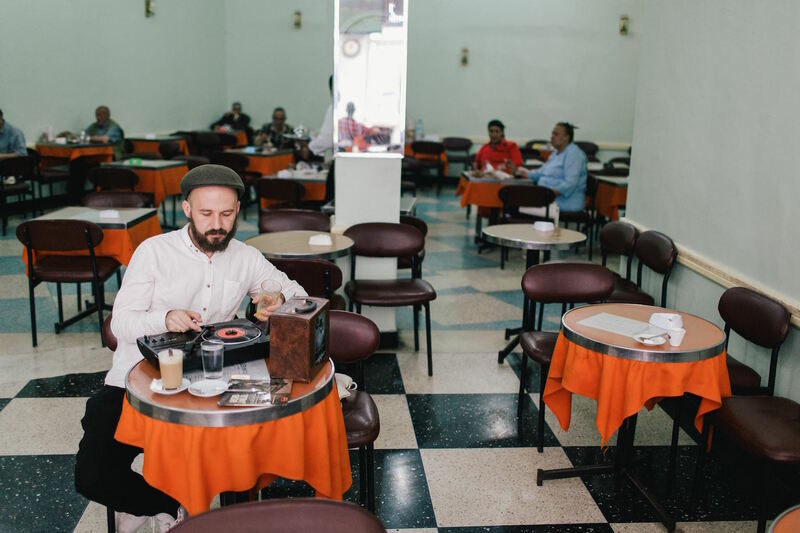 At the same time, however, Stürtz is quick to note that Habibi Funk’s sound, is “niche” and “specific” in comparison to both the historical and contemporary Arab music scene. He recognises that it is not an accurate representation of each region’s popular and historical music culture. 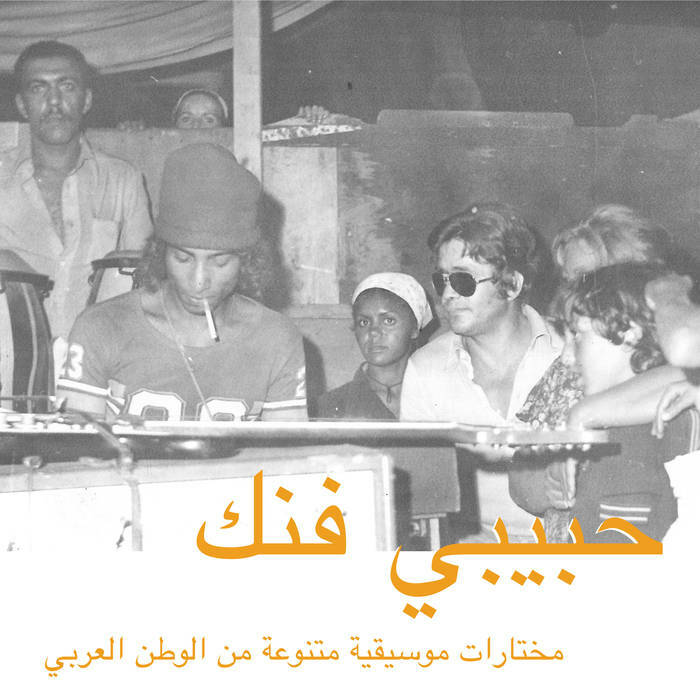 Rather than reissuing records from Arab music and culture icons such as Egyptian singers Abdel Halim Hafez or Umm Kulthum records, instead, Habibi Funk’s reissues usually include a “disco reference”, operating more on Stürtz’s own musical taste and less so on traditional Arab music. With that in mind, like Stürtz, you may be lucky enough to run into an undisclosed warehouse in Cairo, a retired ’70s Lebanese drummer with plenty of vinyl stashed away, or perhaps even a Sudanese billionaire, who will decide whether or not you can buy his records. Habibi Funk 007: An eclectic selection of music from the Arab world features a collection of artists released or fortchoming on Habibi Funk and will be available on 1st December. Pre-order your copy and learn more here.